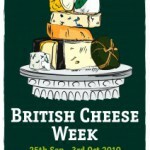 Home » Locations » Odds & Sods » Happy British Cheese Week 2011! Find yourself in the UK with no plans this weekend? Not to worry. Tellyspotting is working very hard on your social calendar behalf. 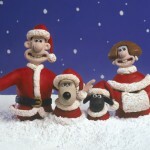 Knowing, also, that there may be many of you who choose to celebrate British Cheese Week 2011 at home quietly with a group of close friends and your favorite milk-based food product, be it cow, buffalo, goat or sheep, again, we’re there for you. 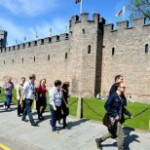 For those wanting to get out and celebrate amongst the masses, the Great British Cheese Festival 2011 kicks off tomorrow, 24 September, at Cardiff Castle and runs through Sunday, 25 September. Take master classes, view demonstrations or stroll through Britain’s Biggest Cheese Market and get a chance to taste the winners of this years British Cheese Awards. In need of a place on either of the pond to procure some of the best cheese available anywhere? Try La Fromagerie in the UK or Cowgirl Creamery in the U.S. Two of the best on the planet. 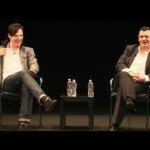 Happy Great British Beer Festival 2011 to all!